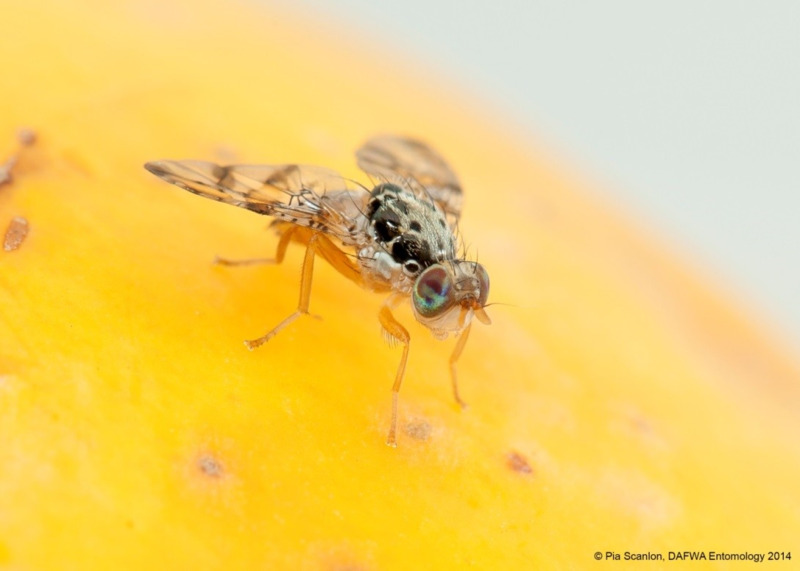 Mediterranean fruit fly (Medfly) Ceratitis capitata is a serious horticultural pest in Western Australia. 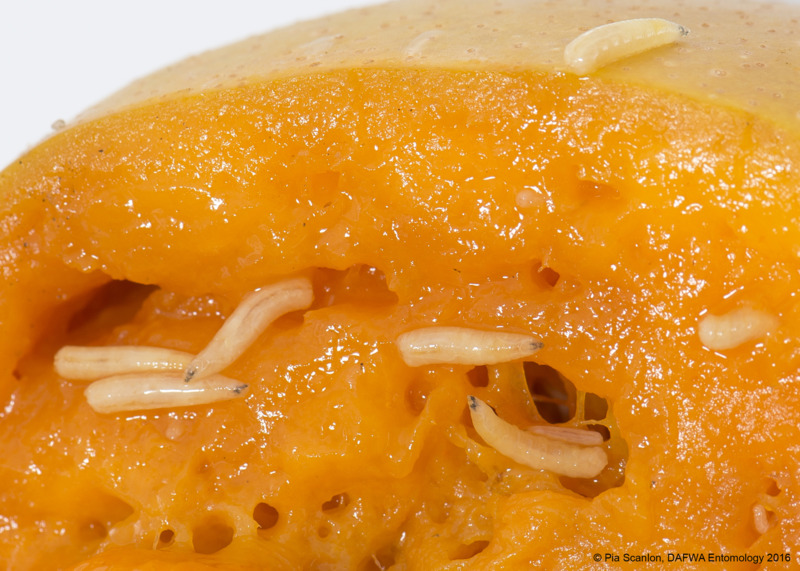 It attacks and damages a wide range of cultivated fruits and some fruiting vegetables. 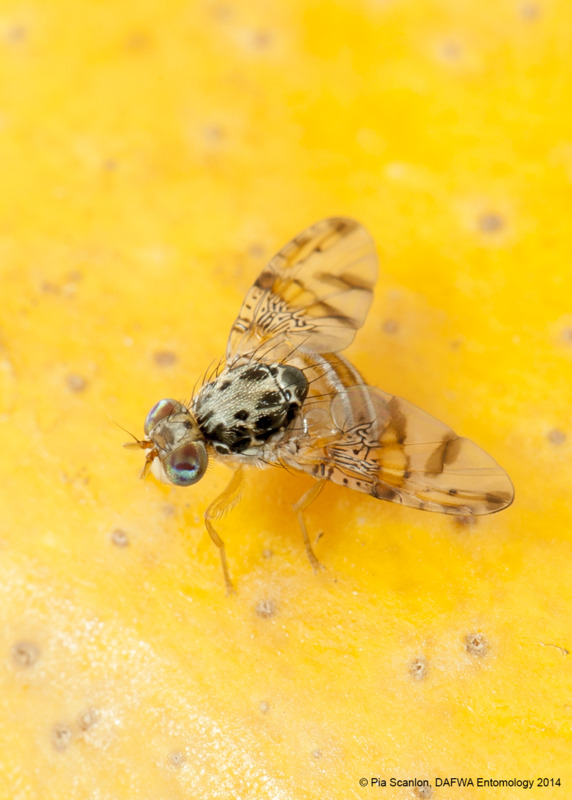 Damage is caused when the female lays eggs into ripe fruit and a resulting larvae infestation occurs.